(TibetanReview.net, Apr13, 2016) – For having tried to repossess a piece of village common land grabbed by local officials five years ago ostensibly for a public project only to lease it out to private developers a court in Dzoege (Chinese: Ruo’ergai) County of Ngaba (Aba) Prefecture, Sichuan province, has jailed four Tibetans for jail terms of two to three years, reported the Tibetan Service of Radio Free Asia (Washington) Apr 11. The report said three men, namely, Rinchen Dorje, Kurde Yeshe and Phurko were jailed for two years each while a fourth man, Jigje Kyab, received three years. The report said all four were given immediate parole but with the addition of six months each to their jail sentences. The four were reported to be part of a group of Tibetans who had briefly reoccupied the community land in question in Thangkor town, marking and fencing it off to indicate its repossession. 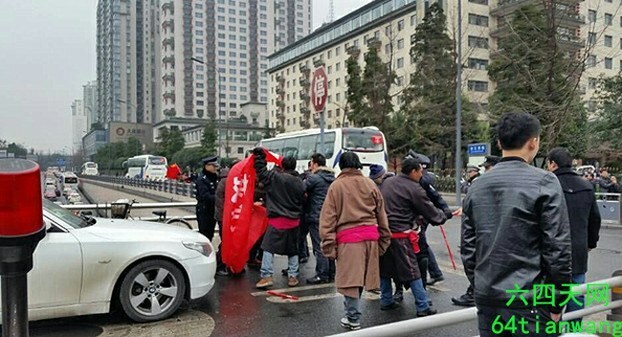 Earlier, on Jan 28, a group of 20 Thangkor residents had staged a protest in front of government buildings during a meeting of the Provincial people’s congress in the capital Chengdu over the issue. It was quickly broken up and 11 of them were detained. All but two were released later on. The report cited sources as saying the confiscation was a land grab carried out by local officials for their personal profit and not related to any government policy or development project.